Thinaire announced the launch of its Enterprise Suite, a marketing platform providing tools for NFC-powered mobile campaigns. Citing increased engagement and more effective ROI measures as reasons for the Enterprise Suite, Thinaire has been working with leading brands to create an solution for NFC. Thinaire recognizes that the jump to NFC will alter the way consumers interact with brands and businesses. With NFC’s proposed adoption to peak in 2013, Thinaire estimates that 40% of smart phone users will have mobile wallets or will at the very least possess NFC capabilities. Touchpoints – Manage mobile engagement through cross-channel deployment (e.g., billboard, magazine page, retail store shelf or public transportation advertisement). 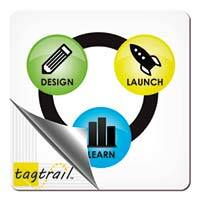 Organizes touchpoints into groups, deliver rules-based custom content and geo-code locations for tracking accuracy. Insights – Provides deeper, real-time analytics of touchpoint campaigns. Content analytics show how people interface with the experience; how they navigate the offers and coupons they save, videos they are watch and apps they are download. Also measures ROI. Bridge – Simple automation of the integration between the Thinaire platform and marketers’ CRM, database, social media, commerce and mobile content management systems. For additional information on how this system works, Thinaire has produced a short video that can be seen here.